Since Microsoft first introduced SharePoint in 2001, companies have flocked to it in great numbers. The early challenges of deployment and management have given way with the release of SharePoint Online in the Office 365 Online Services suite. 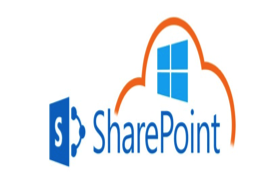 Management of SharePoint Online is handled by Microsoft as well as the product is continuously seeing new apps, features, and fixes through automatic updates. One of the most significant differences is the impact on internal resources. On-premise solutions require an internal IT support structure including people, hardware and software, or the use of a Manages Service Provider. Cloud based solutions reduce the dependency on internal resources and typically provide better globally deployed failover and redundancy features. Laid Norton Company is a 7th generation family private holding firm with investments in real estate, private equity and financial services. Laird Norton Company’s Director of Finance, looked to Vorsite to help support and solve their business problems and migrate to SharePoint Online. Need more information! Get our top 3 reasons why you should move your files to the cloud. Vorsite has more than 14 years of experience with SharePoint and has helped small and large businesses deploy, manage, customize, and increase SharePoint user adoption and that is exactly what we did for Laird Norton Company. Now with SharePoint Online Laird Norton Company is capable of sharing files to employees and to external contacts safely and securely; managing the lifecycle of documents and records per company requirements and regulations; back-up and restore of content, down to a single file, is a simple and quick process. 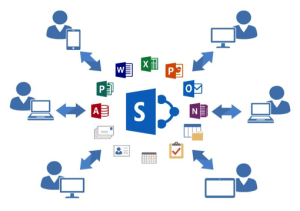 SharePoint Online has unlocked a number of capabilities that has promoted the percentage of employee adoption to increase. Since Laird Norton Company has migrated to SharePoint Online, the company is seeing an increase in employee productivity due to all files being stored on SharePoint vs. shared network drives, laptop hard drives, and external drives. In addition, there is more time being saved, employees no longer have to spend hours finding files, and the ability to search for files has significantly improved. Laird Norton Company employees simultaneously collaborate on Word, Excel, and PowerPoint files, which is efficient and has reduced frustration and uncertainty. “Since Migrating to SharePoint Online, we have gained a piece of mind. We are no longer worried about losing files or having too many versions of the same document. We are less stressed about losing data and we are confident that Vorsite will help us out if we have any problems in the future”. Get Start Today!